1. My Little Man after breastfeeding. It’s the only thing that calms him down when he isn’t feeling well. 2. 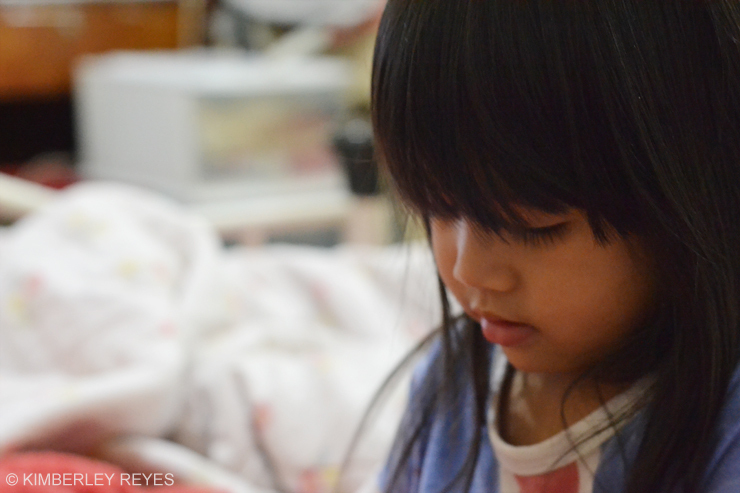 The Princess was so busy playing with her Lola’s iPad today. It’s been a while since she last held one. I can’t believe she knows how to play 2Fuse! 3. 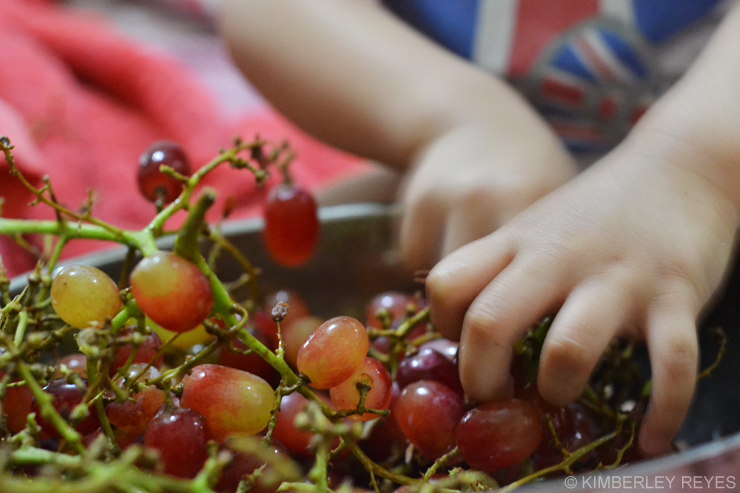 Grapes for the sick family members – that would be my sister and I. This is what I love about visiting my mom. All photos above were taken with my Nikon D3100 paired with a 50mm f/1.8 lens. I’ve had this lens for a little over two years now, but never used it. A bought it as a gift. However, since I wasn’t so into manual mode then, I didn’t appreciate what they say “the great moments” a 50mm can capture. 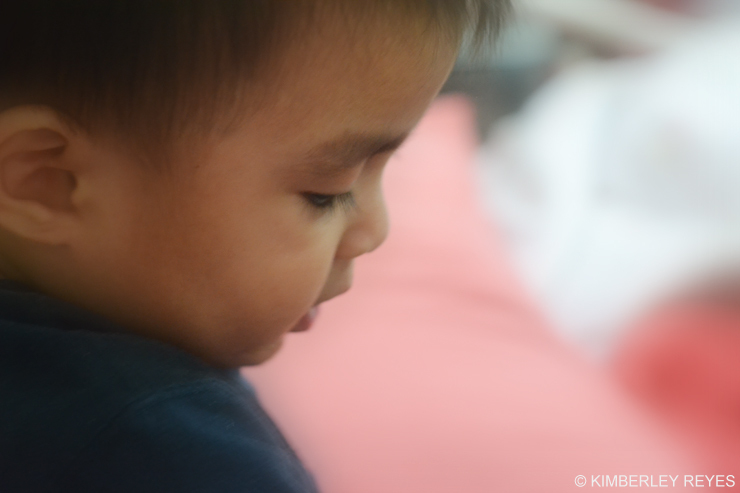 It is only now that I am discovering the wonderful things I can do with my 50mm. This article lists down four reasons why everyone should have one. I’ve already begun testing my lens indoors, with the minis. I’d like to take it out to the streets (they say it’s perfect for street photography) to see what else it can do, so expect street photos soon. The Princess at 7 months! Mama Blues: A Mini Is Starting School Soon! The Princess is 1 year and 2 months old! Hi Kim. How young are The Princess and The Little Man? Thank you 🙂 The Princess is 2 (turning 3 this May). Our little man just turned 1. Pogi baby, get well soon ha. 50mm is good for portrait ata. Not sure pero J uses it for portraits. Ako dipa rin marunong. Haha. Yes, it’s good for portraits. 🙂 Naku, ito pa rin ako. Paranoid at mataas pa rin fever ni baby.